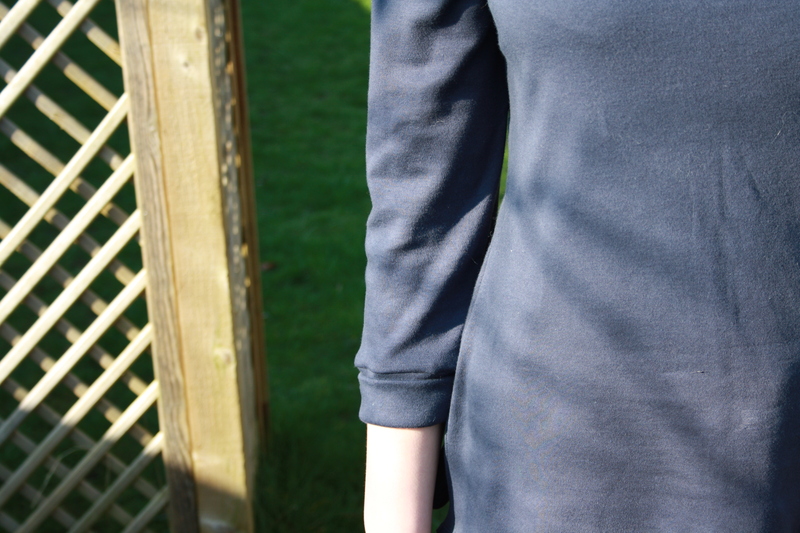 Having sewn no less than three other garments with knits (Lady Skater one, Lady Skater two and the Aslan Plantain) since January, I felt hot to trot in sewing terms. The pattern and instructions is nothing less than top drawer and entirely what I’d expect from Tilly: this is a woman who talks my language, pattern-wise, and presents the step-by-step instructions clearly with beautifully shot photos (and a glorious red manicure) to match. 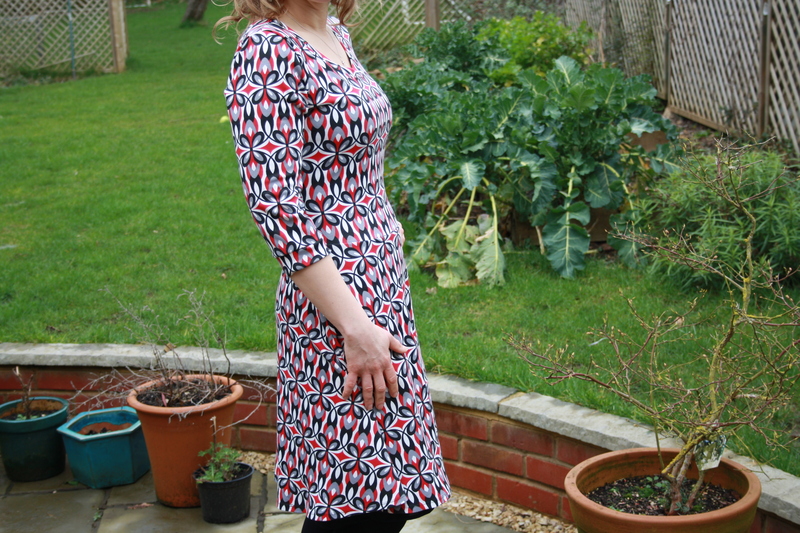 There’s been a sewalong on her website to accompany the release of the pattern, together with various different posts offering advice on sourcing fabric and sewing with knits for newbies. She really has thought of everything. Frankly, the only thing she appeared not to cover was the evil weevil that escaped from the bottle once I opened the pattern, or should I say the fabric. 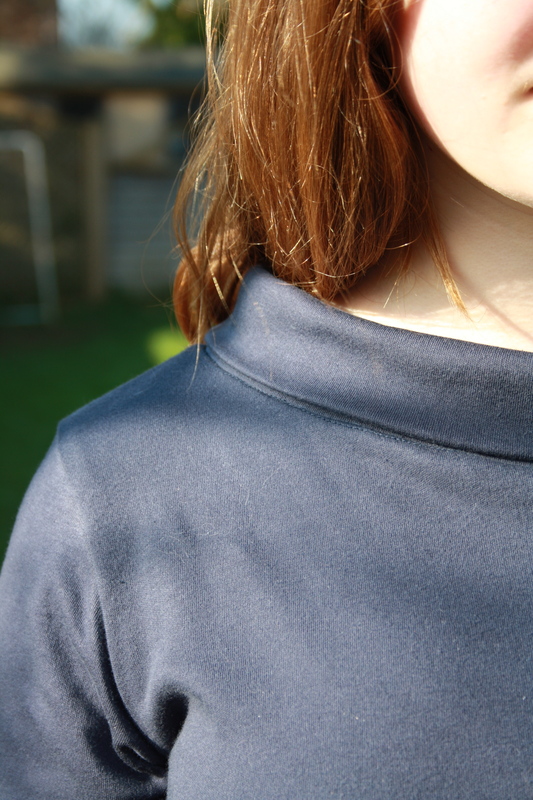 I bought my fabric from Tissu Fabrics, a navy cotton jersey interlock as recommended, and it seemed perfect, but I think the problems began when I washed it. As Tilly points out, dry your fabric flat. FLAT. FLAT. FLAT. Roll it in a towel, lay it on the table, just make sure it’s flat. I didn’t. I hung it up. It stretched and distorted and although I continued my Coco in a belligerent and cautiously optimistic fashion, I knew I was chancing my arm. Learn from my mistakes. 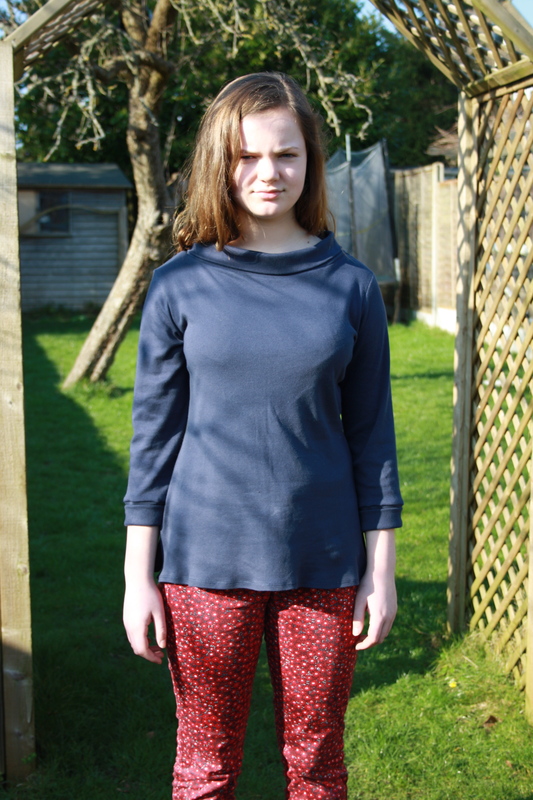 Construction wise, a straight size 3 was cut and I slimmed the sleeve down as per the recommendations of other more competent sewing ninjas than I. I love the funnel neck style and 3/4 length sleeves, I’m just sorely disappointed with my efforts. You can see by the way it hangs on the delighted Lady Moo that all is not Coco. Still it could have looked a lot worse. This will be my working toile or maybe toil? Threads kept snapping on my sewing machine in twin needle mode for weevil knows why, causing me to unpick and unpick and stretch the hem despite the Wundaweb I used to stabilise it. Why did the thread keep snapping? Why? Why? 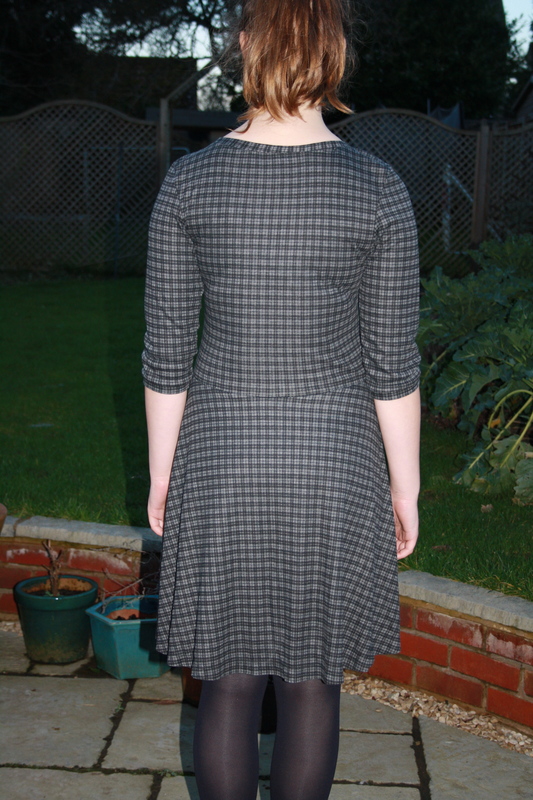 I fully intend to Coco again, perhaps with a heavier, more stable fabric (ponte knit anyone? ), and will sew armed with a Nerf gun to shoot the sewing weevil down in its tracks. You can’t say I haven’t warned him. Bar steward. Lady Skater the Second was born after in an idle moment contemplating the shock of Sunderland FC entering the League Cup Final (taking place today, if you’re interested!) I had already completed “semi-final top” which I meant to blog about prior to this, but in my arse-about-face way of doing things, it will have to follow later. Needless to say, the semi-final top was sewn while listening to radio commentary, with a lot of haste, fervour and expletives, none of which related to said garment, only the match being played. 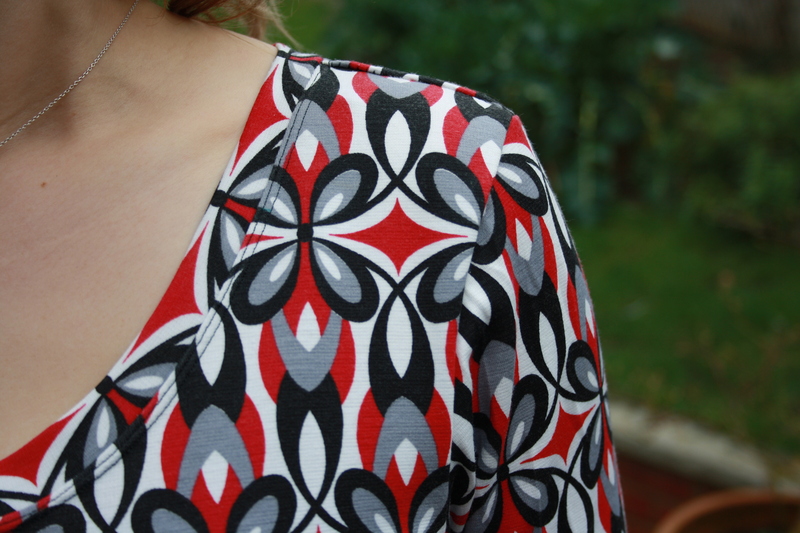 Minerva Crafts once again produced the goods for the dress by way of a red, white and black jersey fabric and at only £4.99 a metre it meant that my inevitable disappointment would not cost me dearly. Football is a fickle mistress when Sunderland is your team. Back to stitching. 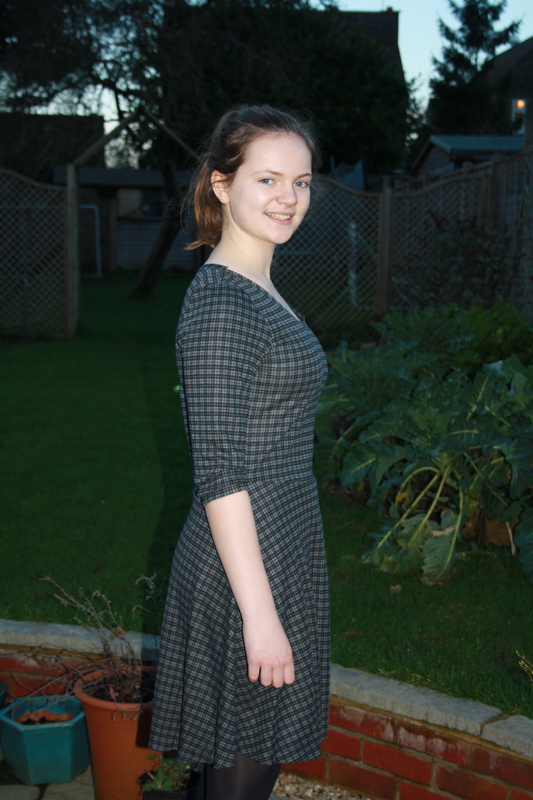 I did, of course, sew a Lady Skater Dress (my second, following on from the Lady Moo Skater Dress) all ready to wear at Wem-ber-lee. 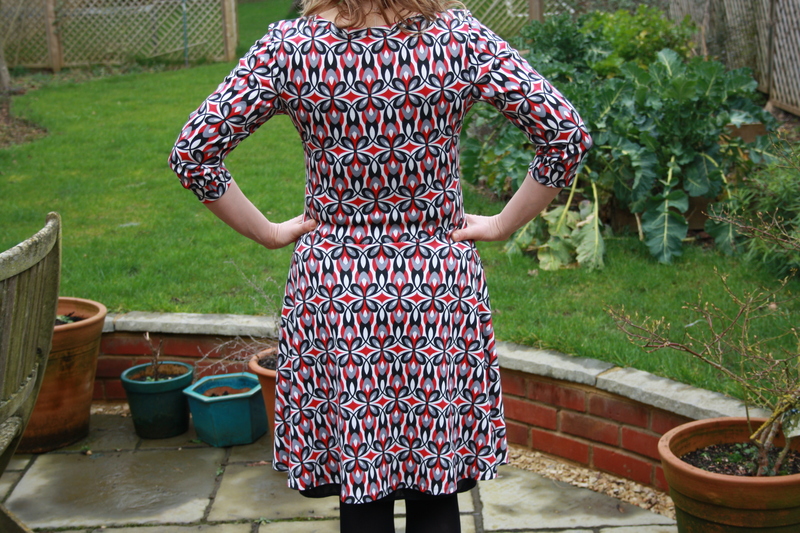 Cut a straight 4, as I did for Lady Moo, and a small back adjustment was needed so I thought, but apparently a bit of a bigger one would have been better. Once again, I dock my hat to lovelyAmanda of Kitschy Coo fame: this is a great pattern for a novice knits stitcher (try saying that quickly) and she is just SO helpful if you have any questions. The instructions are very detailed – just perfect for a simple sewing soul like me. I’d actually cut the pattern before a few days in Denmark at half term. As I returned home looking like I’d squirrelled a fair few Danish pastries to midriff (because actually I had) I did wonder how it would fit. All OK. It might look better in a couple of weeks once the pastry effect has subsided. Unless I replace it with a Creme Egg habit. Has been known. PS Failed to get this posted before we set off, and sadly we were not victorious… but they played so well and for 55 minutes it was the most exciting sporting fixture of my life! Awkward posing on the patio. Chick, a rather lovely (I think) term of endearment, rooted in and from the North East, and for me, from my childhood. This chick, may I make myself clear, is an avuncular, non-lairy chick, not a babe-chick. Just so we understand each other. 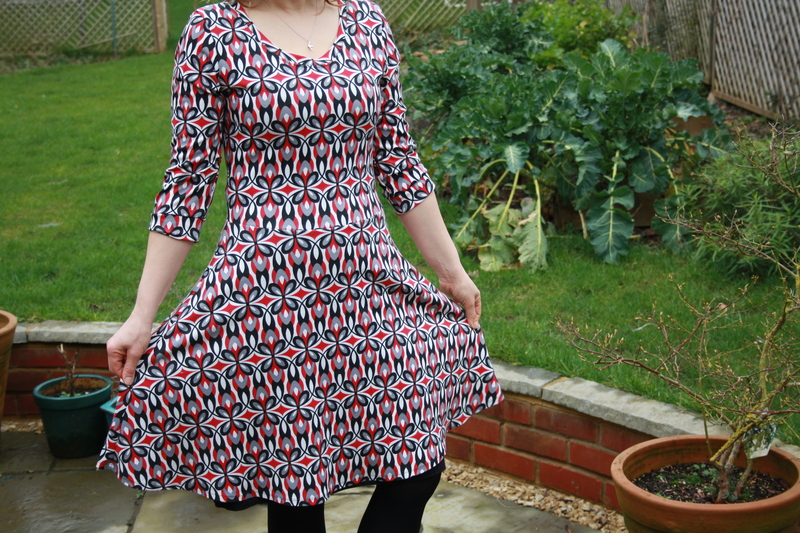 Once again, after castigating myself loudly and frequently, I decided to email the lovelyAmanda (lovely and Amanda are all one word in my dictionary), curator of Kitschy Coo and pattern designer of the Lady Skater dress. She replied. Not only did she reply, but she replied quickly and helpfully, in a friendly and non-irritated manner. How so I thought? I’m so irritated with myself I’d quite like to sew my fingers together with the twin needle. Anyway, enough of this light-hearted banter, neckband sorted (ish), the rest of the dress came together quickly and easily. I cut Lady Moo a size 4, in accordance with her measurements, making a slight back adjustment as per lovelyAmanda’s very excellent instructions. They are super-duper, top banana instructions for eejits like me. The Kitschy Coo website is also full of some very helpful advice about sewing with knits – just make sure you read it properly, said the Panda, clearing her throat. 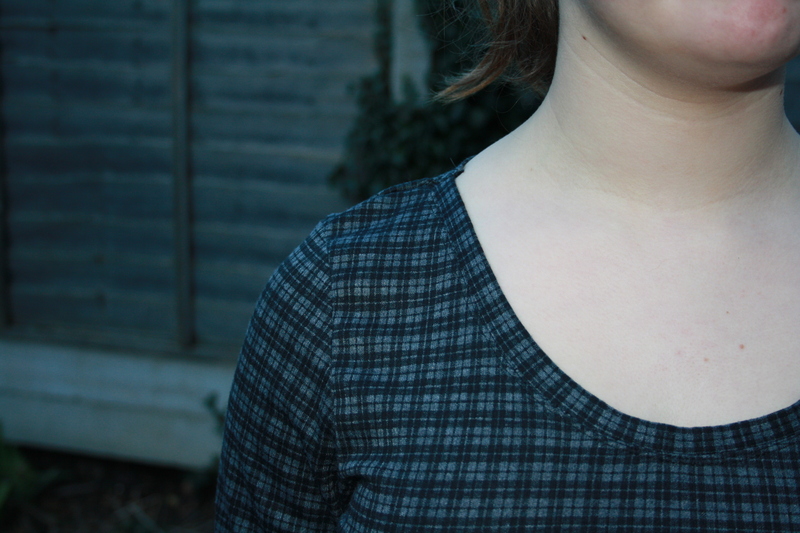 The neckband could be better, but it was a hard lesson learned. Overall, old Panda Face smiled with relief. Teenage daughter turns her back on mother. When asked. What else to tell about construction? Well in my web trawl I’d found a top tip to stabilise the hem to be using some wunderweb type stuff. That worked a dream apart from when I was watching Call the Midwife and the wunderweb became stuck to my iron. Wunderweb in place, I hemmed it with a twin needle – all good. I even cleaned the iron afterwards.